Woody Harrelson is teaming up with renown plant-based chefs to produce vegan docuseries. 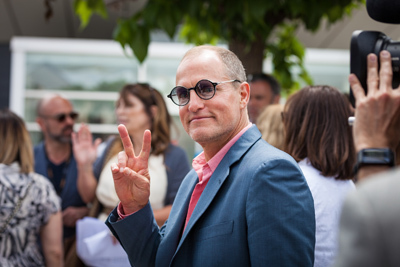 Acclaimed actor and producer Woody Harrelson has announced that he will be partnering with the vegan chef brothers Chad and Darek Sarno for a new plant-based docuseries called "Wicked Healthy World." According to an article in VegNews, the Oscar-nominated actor is the executive producer of the new show that will follow the brothers' visit around the world, including episodes dedicated to indoor mushroom farming in South Korea, rooftop farmers in Tel Aviv, and businesses and initiatives working to build sustainable food sources. "My brother and I are excited to meet other innovators who share our passion and who have developed solutions to bring about change," Chad said regarding the new project. The Sarno brothers co-wrote a cookbook called Wicked Healthy, and created a popular recipe blog under the same name. The chefs are the founders of the vegan seafood brand Good Catch that secured an impressive $8.7 million in investment capital in August of 2018, and is scheduled to be available in December 2018. Chad worked with Harrelson as a personal chef, and the "Hunger Games" star penned the forward for the brothers' book. "Chad and Derek are doing some incredible work. They are at the forefront of a plant-based movement that's been building for decades and is now becoming a tsunami." What the brothers hope is that their documentary will inspire and educate viewers, encouraging them to switch to a more eco-friendly, cruelty-free diet.